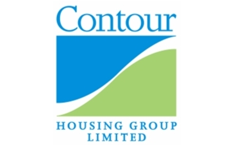 Contour Homes is a member of the recently formed Symphony Housing Group and is one of the North West region’s largest registered social landlords, with over 11,000 properties under its ownership and management across 27 local authorities. Peak Valley Housing Association acts as landlord for over 1400 properties transferred from Manchester City Council in September 2006. Peak Valley Housing Association is a member of Symphony Housing Group and is based in Hattersley.